COAL CITY – Robert D. “Bob” Martis, 87, of Coal City passed away Thursday, July 26, 2018 at Morris Hospital. Robert Dale was born Novem-ber 4, 1930 in Central City, son of Andrew and Anna Papach Martis. He was raised in Central City and educated in Gardner, graduating from Gardner South Wilmington High School. Following graduation, Bob entered the United States Army, where he honorably served overseas during the Korean Conflict. Upon his discharge, he continued his education at Illinois State University, where he earned his Bachelor’s in Mathematics and Education. On June 13, 1954, Bob married Delores “Sis” Ulivi in Assumption Catholic Church, Coal City, and made their home in Coal City. Following college, Bob took a teaching position with Wilmington High School, where he taught math. He later went to work for the family business, Ulivi Brothers Furniture, which he took over until his retirement. Always enjoying working outside, Bob enjoyed cutting grass at the Coal City Area Club following retirement. 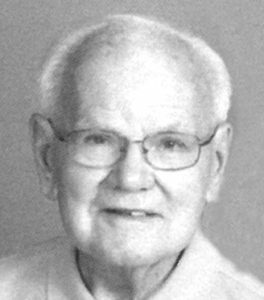 He was a member of the Coal City School Board, where he served as past president; was a former active member of the Coal City Lions Club; belonged to both Coal City Area Club and the Braidwood Recreation Club; and was a parishioner of Assumption of the Blessed Virgin Mary Roman Catholic Church in Coal City. Bob took pleasure in golfing, and enjoyed traveling both domestic and abroad. He was a fan of the Chicago Cubs and Bears, however, his greatest hobby was Coal City sports. He will be remembered as one of the Coalers greatest fans. Surviving are his wife of 64 years, Delores “Sis” Martis; children: Debbie (Shorty) Fatlan of Diamond; and Allen (Lisa) Martis, Brian (Dawn) Martis, Cathy (Greg) Lyons, and Carol (Terry) Halliday, all of Coal City; grandchildren: Amy (John) Kelly of Mazon; Missy (Scott) Kramer of Goose Lake; Brock Martis (Kristy) of Coal City; Ben (Felicia) Lyons of New Lenox; Jaime (Mike) Frazier and Jena Martis (Kyle), both of Diamond; and Luke Lyons (Nikki), Brittany Halliday, Emily Halliday and Maddie Halliday, all of Coal City; six great-grandchildren: Amelia, Tucker, Leo, Robert John, Stellan and Vincent, with another expected; and numerous nieces and nephews. Bob was preceded in death by his parents; two brothers, Leonard (Elizabeth “Toots”) Martis and Elmer (Marge) Martis; and one sister, Barbara (Lou) Marketti. A Mass of Christian Burial was celebrated by Rev. Robert Noesen at 11 a.m., July 28, at Assumption Catholic Church, Coal City. A private family burial with full military honors will be held in Abraham Lincoln National Cemetery at a later date. Pallbearers: Brock Martis, Ben Lyons, Luke Lyons, John Kelly, Scott Kramer and Kyle Nowicki. Visitation at Reeves Funeral Home, Coal City, was from 5 until 7 p.m., Friday, July 27, and Saturday morning at the church from 10 a.m. Preferred memorials may be made to The Coal City Unit #1 Foundation for an athletic scholarship which will be extended in Bob’s memory.